This no-bake dessert combines classic Rice Krispy treats, peanut butter, pudding and chocolate for a multi-layered dessert that everyone will love. Great for making and taking with you, so they’re perfect for parties, barbecues and potlucks. They are pretty sweet though! 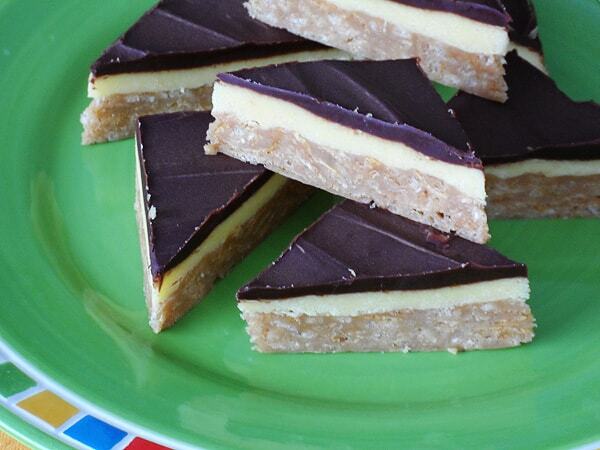 So, if you have a sweet tooth, you’re going to love these bars. I have 3 boys in the house ranging from age 14 through 21. It didn’t take long for these bars to disappear with them around. So if you have teenagers, don’t expect to have any leftovers! Over medium heat combine sugar and corn syrup in a large saucepan and cook until bubbling at the edges, stirring occasionally. Cook, stirring, one minute more. Remove from heat and stir in peanut butter until melted. Stir in rice and corn cereals until completely coated. 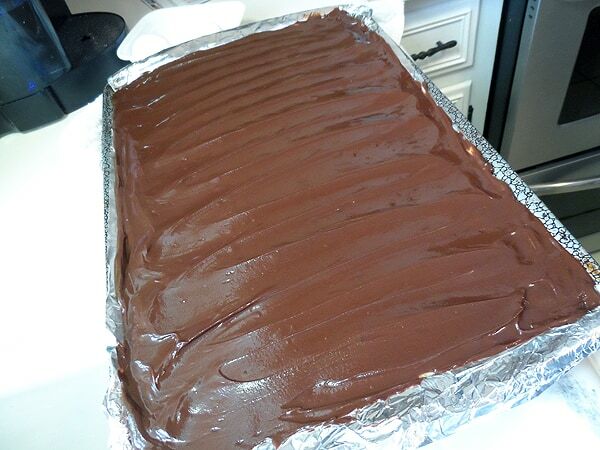 Press mixture into a foil lined cookie sheet. In saucepan over low heat, melt 3/4 cup unsalted butter. Remove from heat and stir in powdered sugar, vanilla pudding mix and milk. 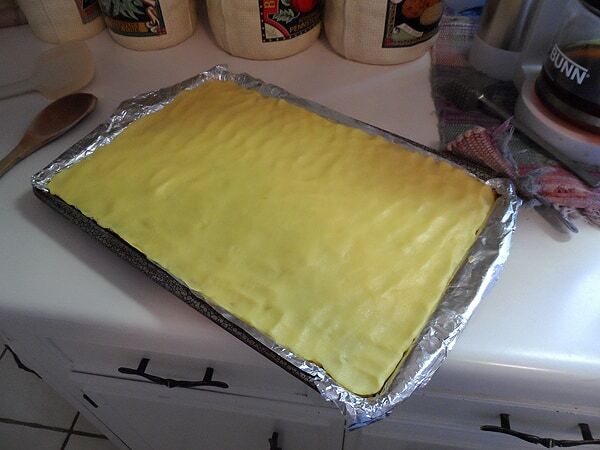 Spread pudding mixture over the cereal layer in the pan. In microwave or in a saucepan over low heat, melt chocolate chips and 1/2 cup butter. Stir until melted and creamy, spread over pudding mixture in pan. Refrigerate for one hour to set. Lift bars out with foil and cut into squares or triangles. Over medium heat combine sugar and corn syrup in a large saucepan and cook until bubbling at the edges, stirring occasionally. Cook, stirring, one minute more. 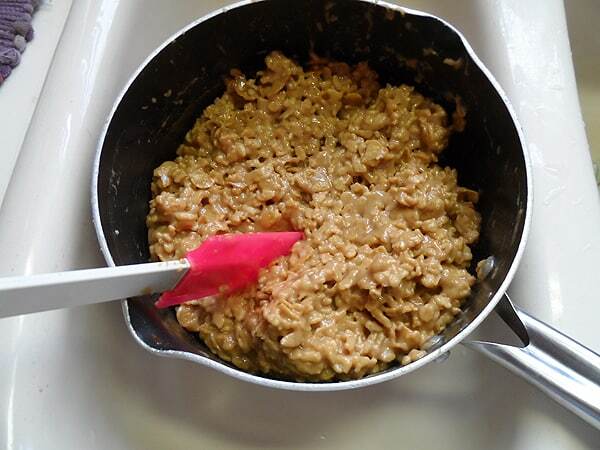 Remove from heat and stir in peanut butter until melted. 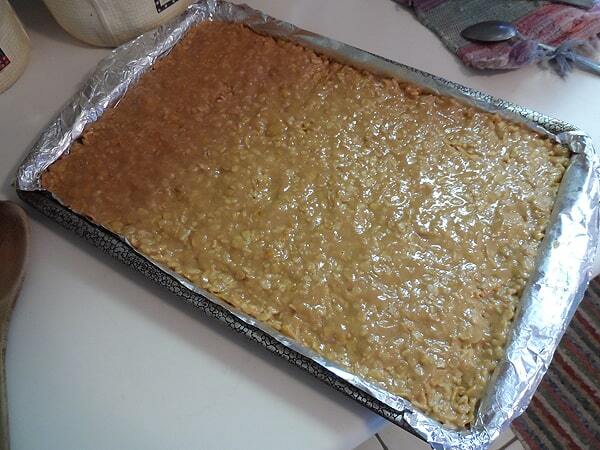 Stir in rice and corn cereals until completely coated. Press mixture into the lined cookie sheet. In microwave or in a saucepan over low heat, melt chocolate chips and 1/2 cup butter. Stir until melted and creamy, spread over pudding mixture in pan. Refrigerate for one hour to set. Lift bars out with foil and cut into squares or triangles. Is vanilla instant pudding, Angel Delight/ Instant Whip, a powder mix that you add milk to to make a mousse type dessert? Similar, but pudding is thicker, like custard. Mmmmm…these sound delicious! Haven’t seen a bar with a pudding layer like that! These bars sound scrumptious! They remind me of an amazing chocolate peanut butter bar with a rice krispy layer that I had at a bakery in New York. Gotta love that classic chocolate-pb combo! 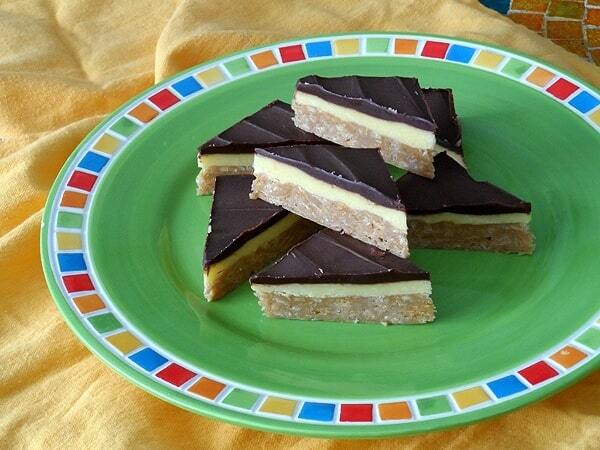 Thanks so much for sharing a link to my no-bake bars too! 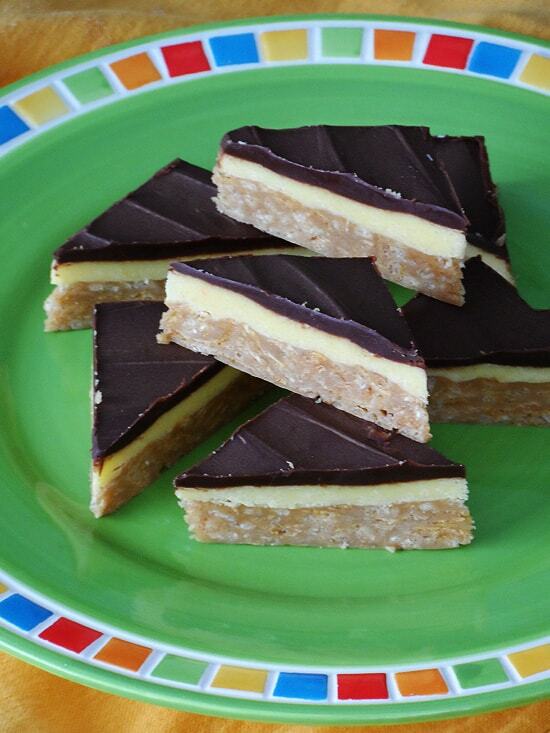 Thanks Alexandra, and happy to share the link to your delicious bars! I love this!! 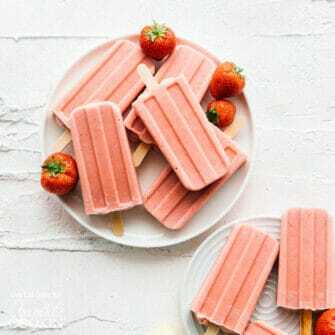 Three layers of lovely flavor!! Wish I could hand you one! Just wondering if your Vanilla Pudding mix can be used in this recipe? And if so how much? Hi Jennifer. Hmm, good question, but I’m not sure I would try that with this recipe. The homemade pudding mix is more of a cook to serve type mix, this recipe needs instant pudding. Of course I didn’t think of that. I guess I was thinking of it cooked, cooled and then spread. I might just try it as I have a large container of your mix recipe in my cupboard. Last week i couldn’t remember the ratio and put more powder to milk. It tasted fine but was quite solid! I’m guessing that it should probably work just fine since you have to cook the mixture anyway. Don’t prepare the homemade pudding mix as if you are making pudding though. The instructions for these bars uses the pudding mix, butter, only 1/4 cup of milk and powdered sugar. It’s a thick mixture that you spread on top when it’s all done. If you prepare the pudding mix as if you are making pudding, it will be way to thin and will not set up on your bars. Let me know how it works! I’m pretty sure these would disappear in my house, too!! So in love that you adding pudding!! 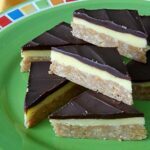 Some of my favorite things all layered into one amazing bar!